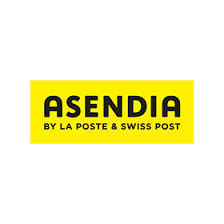 Asendia, the joint venture between La Poste and Swiss Post, and An Post, have announced a formal partnership agreement to help cross-border retailers crack the Irish e-commerce market. This enables Asendia to offer retailers privileged access to An Post’s final mile delivery services for mail and parcels, from the 15 countries it operates. Ireland’s e-commerce market had a total value of €2,762m in 2017 according to Asendia, with cross border spending reportedly making up 77% of the figure published in Asendia’s e-book. According to its findings, 63% of Irish cross-border shoppers buy from the UK with China and US following behind as the next most popular shopping destinations.